The two Nigerian brothers who were arrested in connection with the alleged assault against “Empire” actor Jussie Smollett in Chicago are no longer suspects in the case after telling the police that they were paid to stage the attack, according to new reports. 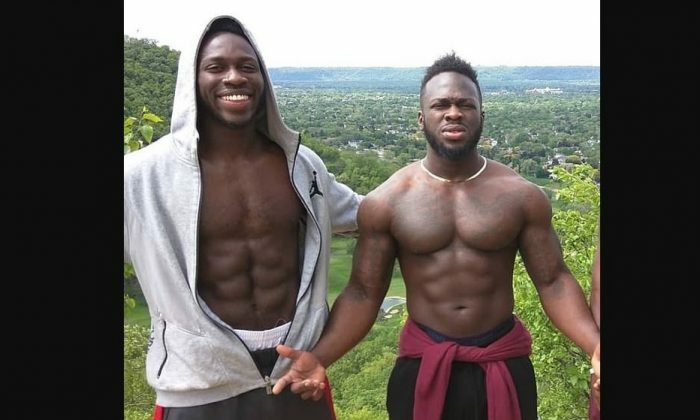 The brothers, Ola and Abel Osundairo, reportedly told detectives Smollett paid them $3,500 before they left for Nigeria on Jan. 29, the day the attack was reported. The sources said one of the brothers held a rope and poured bleach on Smollett while the other wore a plain red hat and yelled slurs at Smollett. Smollett allegedly rehearsed the attack with the brothers before it was staged on Jan. 29. He also gave the brothers money to buy the rope, which was purchased from the Crafty Beaver Hardware Store on Jan. 25, CBS reported. The hat was bought at a beauty supply store. Sources also told Fox 32 that the brothers told detectives that Smollett paid them for the staged attack. The broadcaster said a receipt found by the police in the brothers’ apartment indicated they bought the rope at Ace Hardware. According to the Chicago Tribune, the older brother pleaded guilty to aggravated battery in 2012 and was sentenced to two years of probation for being one of five people who stabbed a 17-year-old in 2011. The younger brother was ticketed for driving under the influence in 2015. During an interview with “Good Morning America” last week, Smollett expressed frustration that some people didn’t believe his account. One report over the weekend claimed the case could go to a grand jury but a police spokesman told Fox News that Smollett would need to be questioned before he could answer a question regarding the report. Responding to the question about the #smollett case going to a Grand Jury, CPD Spox said: We have some information that needs to be corroborated and verified with Mr. @JussieSmollett before I can answer this question. Police said on Feb. 17 that they’re seeking a follow-up interview with Smollett when the new evidence came to light after the brothers were questioned. “While we are not in a position to confirm, deny, or comment on the validity of what’s been unofficially released, there are some developments in this investigation and detectives have some follow-ups to complete, which include speaking to the individual who reported the incident,” Guglielmi said in a statement. Pamela Sharp, a spokeswoman for Smollett, said Feb. 17 that there were no updates “as of now.” Another spokeswoman, Anne Kavanagh, later said she couldn’t comment on whether Smollett had agreed to another interview. Among those reacting to the latest developments was Donald Trump Jr., President Trump’s son, who noted that many people who initially issued statements on the attack quietly deleted them, including presidential contender Sen. Kamala Harris (D-Calif.).